SOPA and PIPA are two terrible internet censorship bills that are dangerously close to passage in the USA, and Wikipedia has blacked out their web site in protest. …but what if you really need to use Wikipedia today? What if you’re a student and your paper was due yesterday and you need to do research? What if you just want to go on a Wikipedia binge? Open Dictionary.app, found in /Applications/ folder, and you can use Wikipedia freely. Thanks for pointing this out Karl! You can also use AdBlocker (Pro) in say Firefox. Open blockable items. There’s a first cover .jpg then a process. The one in the middle might not be necessary. easy and sweet google cache! i used it the whole day thru and worked perfectly. I just discovered you can use the Dictionary app and select Wikipedia to circumvent the blackout. … or you could learn another language (be fast since the incitement of doing so is gone tomorrow). This morning, I went to Wikipedia to see if it truly was blocked, but it came up normally for me. The Wikipedia app for my iPod works just fine, as well. Click on ‘learn more’, the ‘SOPA & PIPA – lean more’ article appears. With that, in the upper right hand corner is the search box. What a weasel post this is. That first sentence does NOT make it right. Taking a stand and making a moral choice is rarely convenient. People in non-democratic countries give their lives to defend their rights – and yet here under the protection of democracy people are so self-entitled and needy that they have to undermine a protest to suit their small-minded self-interest. Wikipedia will be gone for only 24 hours – is there anything so vital that it can’t wait that long? This sort of pat on the back “cleverness” plays right into the hands of the SOPA advocates – it backs up their argument that people on the Internet will do anything to overcome a limitation, whether it be legitimate or not. I am disgusted – OSXDaily should be better than this. some people work, some people have classes to attend to – information is vital to them. they understand and even support the open-knowledge defense – but they can’t go on without wikipedia. i myself found the protest very interesting and shared it with lots of friends – but i needed to read some couple of articles – it helped me a lot: so i bypassed the protest. 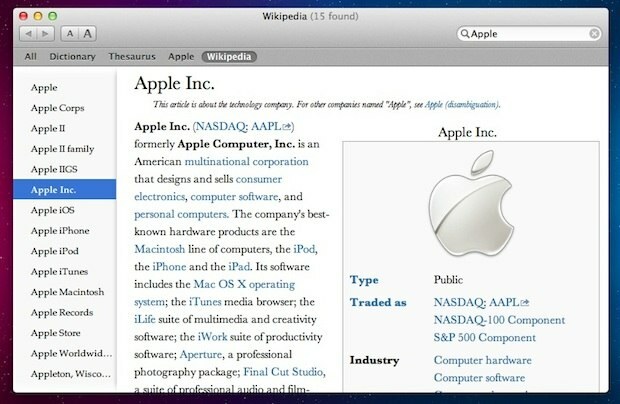 i believe wikipedia’s Head bureau would be proud of this post from OSXdaily: for it supports the usage of free-knowledge, it is smart and it has the spirit that inspired wikipedia itself. This blackout is absolutely ridiculous. 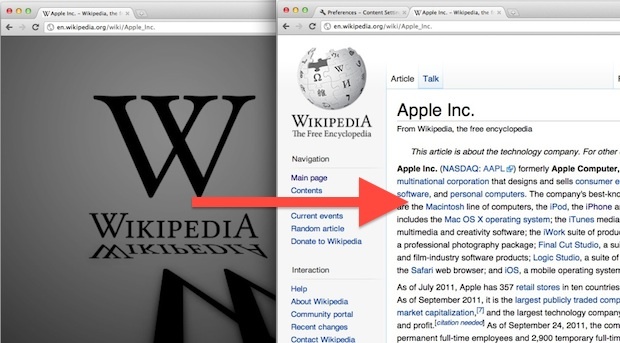 Unbelievable stupid action from Wikipedia to switch their website to black. Never. It’s about time they start fighting against piracy. SOPA should have been introduced 15 years ago. It’s unbelievable they have waited for so long to introduce some laws to stop online piracy. There’s a simple solution for people who speak more than one language. Just use Wikipedia in another language.